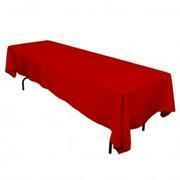 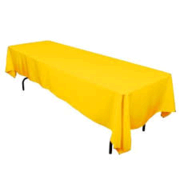 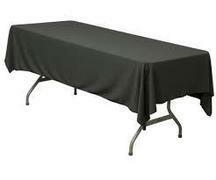 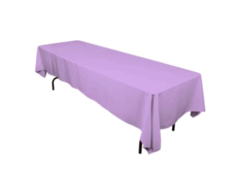 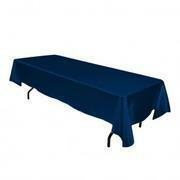 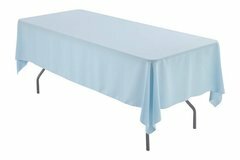 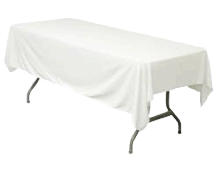 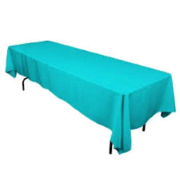 Our popular 60"x108" rectangular tablecloths fit half way to the floor on our long 72" tables. 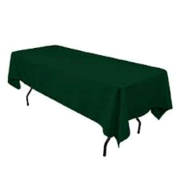 It has an 18" drop all the way around the table. 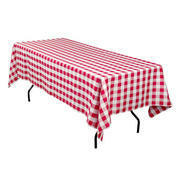 Linen: Baby Blue Rectangular Tablecloth 60"x108"
Linen: White Rectangular Tablecloth 60"x108"
Linen: Black Rectangular Tablecloth 60"x108"
Linen: Red and White Checkered Rectangular Tablecloth 60"x108"
Linen: Green Rectangular Tablecloth 60"x108"
Linen: Lime Green Rectangular Tablecloth 60"x108"
Linen: Lavender Rectangular Tablecloth 60"x108"
Linen: Red Rectangular Tablecloth 60"x108"
Linen: Pink Rectangular Tablecloth 60"x108"
Linen: Yellow Rectangular Tablecloth 60"x108"
Linen: Royal Blue Rectangular Tablecloth 60"x108"
Linen: Turquoise Rectangular Tablecloth 60"x108"
Linen: Navy Blue Rectangular Tablecloth 60"x108"